I think it’s about time we restarted the ‘Sunday Night Picture Show’. 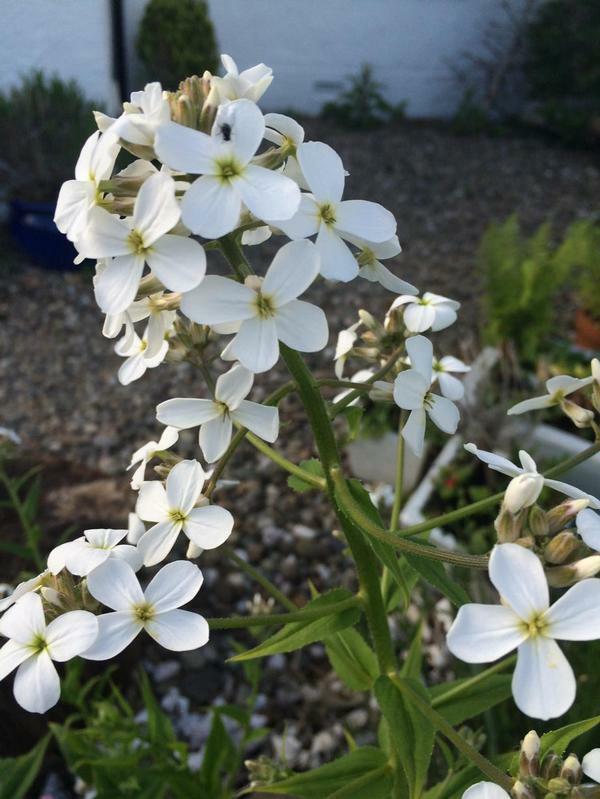 The premise is this: On Sunday evening I post a blog with a heap of photos that you flower growing types send to either my Facebook page ‘Higgledy Garden’ or my Twitter page ‘@higgledygarden’. 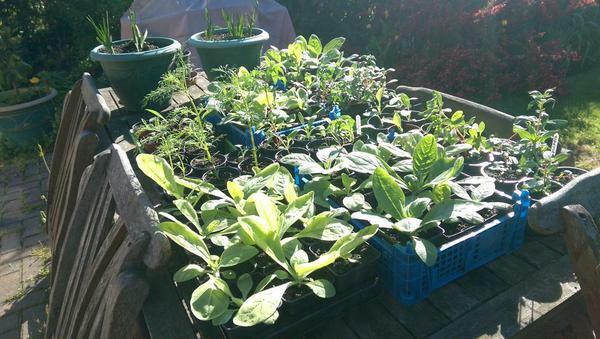 Right now you may have spring sown seedlings…of the first of your biennials…or perhaps Autumn sown annuals…all pics are most welcome. I will slowly fill the blog post up with pics during the course of the day…and have them all up for viewing for say 8pm. PLEASE send some photographs or I will look like a right lemon! 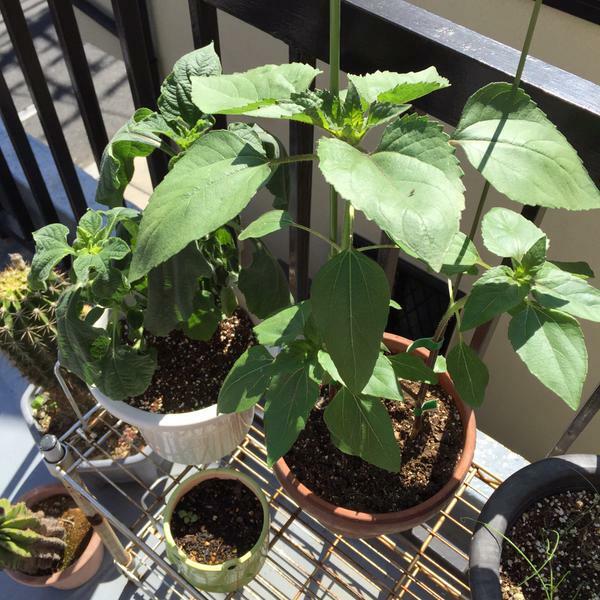 ….and not for the first time. 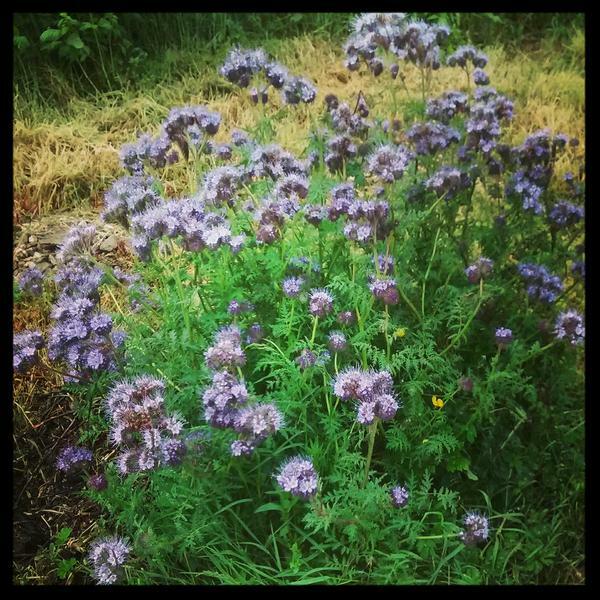 Here’s one for kick off…this morning I found this clump of Phacelia growing on a fallow lotty plot…it would have self sown from last autumn. 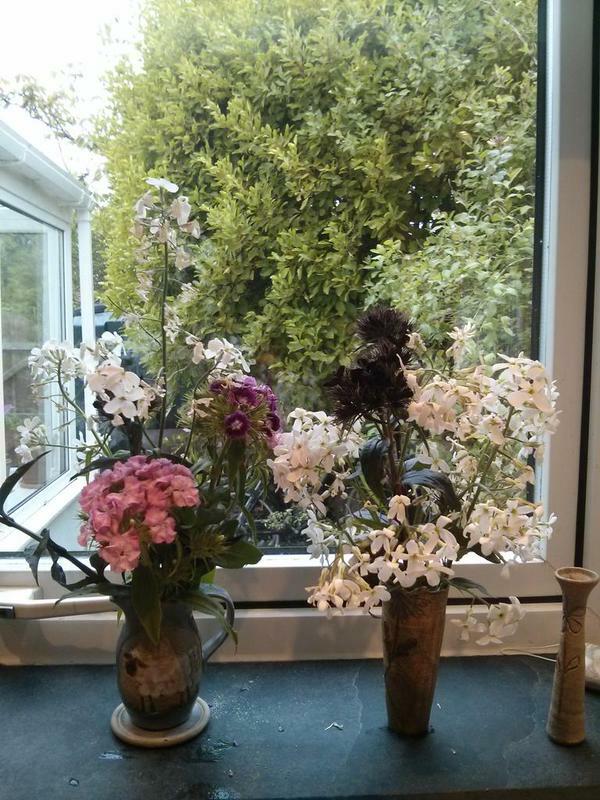 TIPS: Hesperis like all biennials can be sown in June and July. Laura Lont (Twitter). 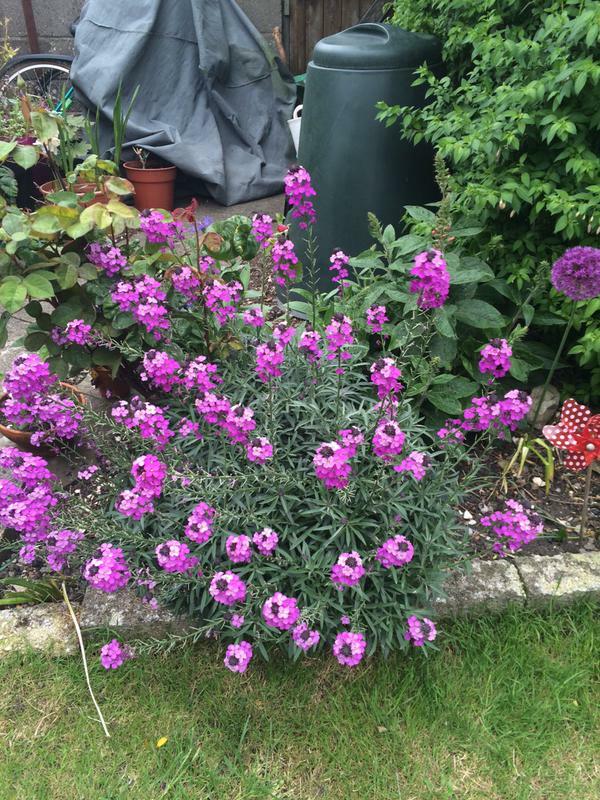 Thank you for this lovely erysimum. 542 points minus 856 points for it not coming from Higgledy Seed stock……oh my life! 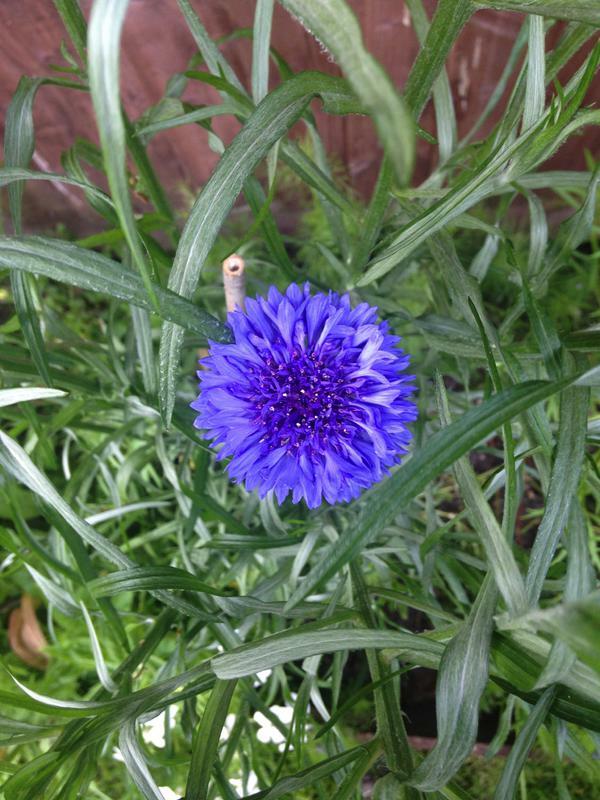 I love cornflowers…this health example of a ‘Black Ball‘ was grown by ‘Lynda’ (Twitter)…with some Calendula hiding out back…clearly autumn sown. 538 points minus 231 points for not having any ‘Blue Ball’ on the go….or any gnomes….gnomes are the in thing this season. 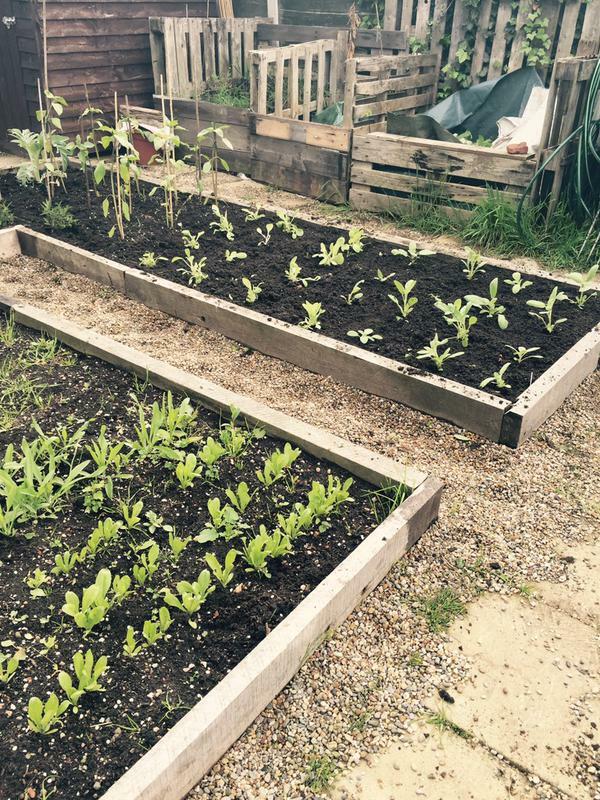 Gratuitous seedling shot from Davina Jane Turner of Twitter…lovin’ your work Davina. 634 points minus 321 for not having any labels…deary me…standards! ahhh a ‘Blue Ball’ from Lorraine Pullen of Twitter…444 points plus 56 for it being the first of the ‘Blue Ball’. 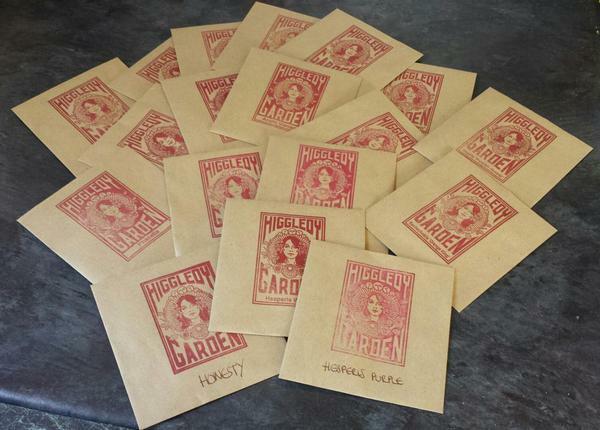 Thx to MzMischif for sending this photo of her wonderful, double awesome seed packets! 45353535 points. 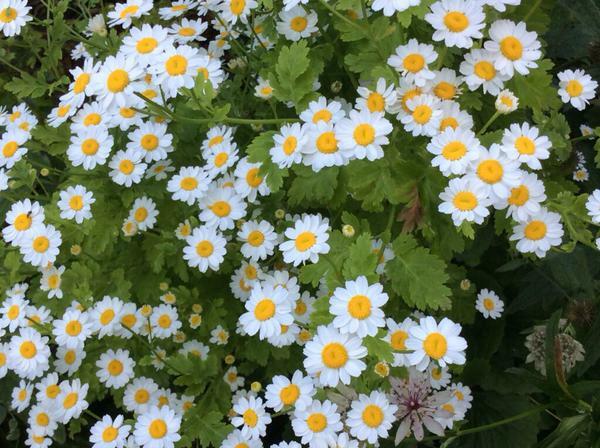 Beautiful Feverfew from Vivian Self…easy to grow and VERY useful as a cut flower. 453 points plus 53 bonus points for ‘simple beauty’. 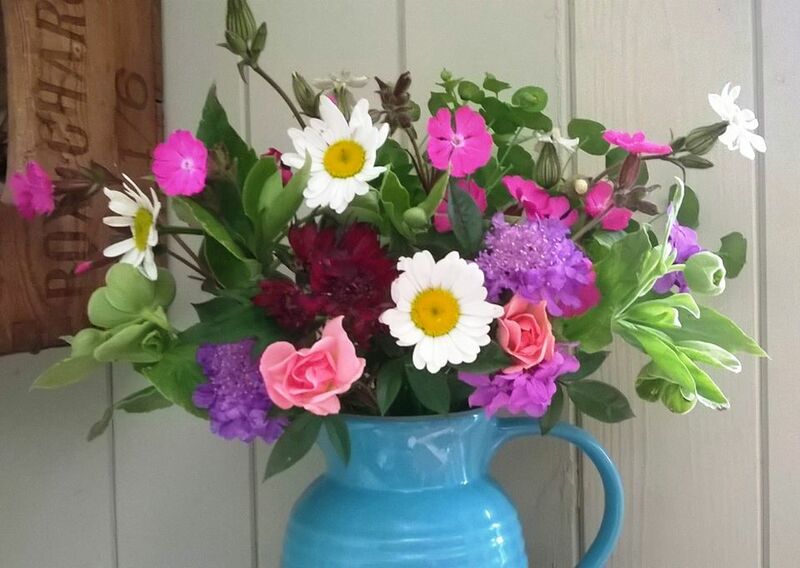 Lovely and simple little combo from @bessybrad (Twitter). 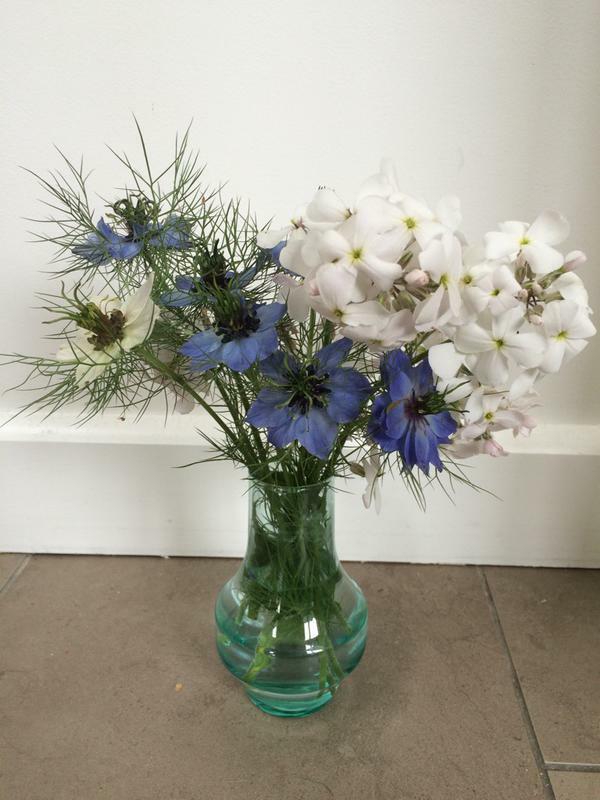 Nigella and Hesperis. 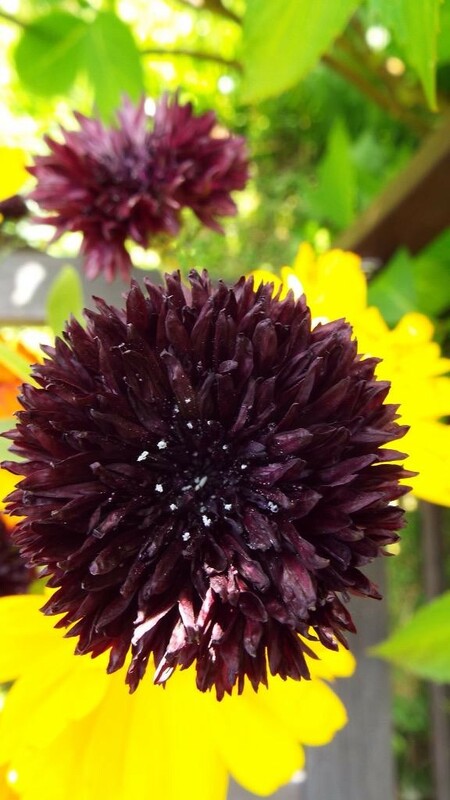 Thx Minako Sato “The knautia I sowed last year finally bloomed. 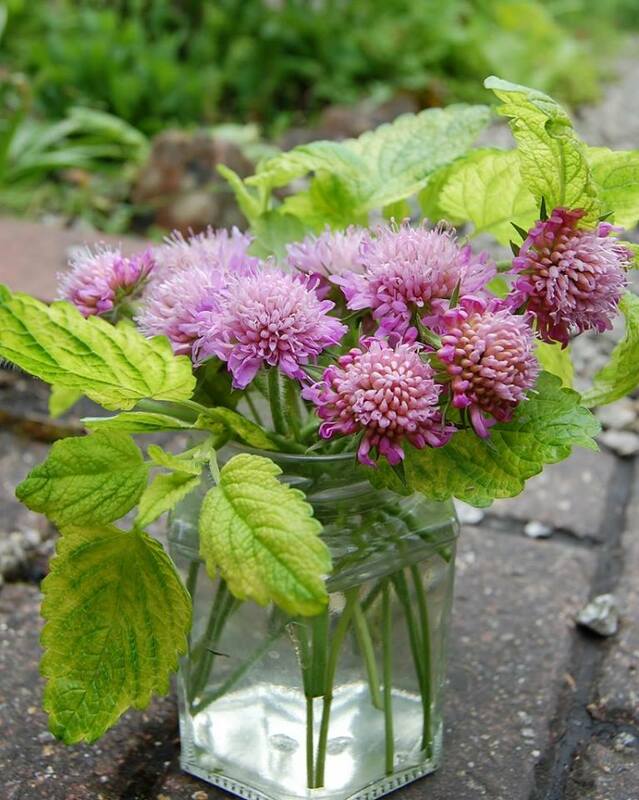 It has been raining on and off all day here so I rescued some flowers before being totally flopped and made a posy with lemon balm.” That is beautiful! 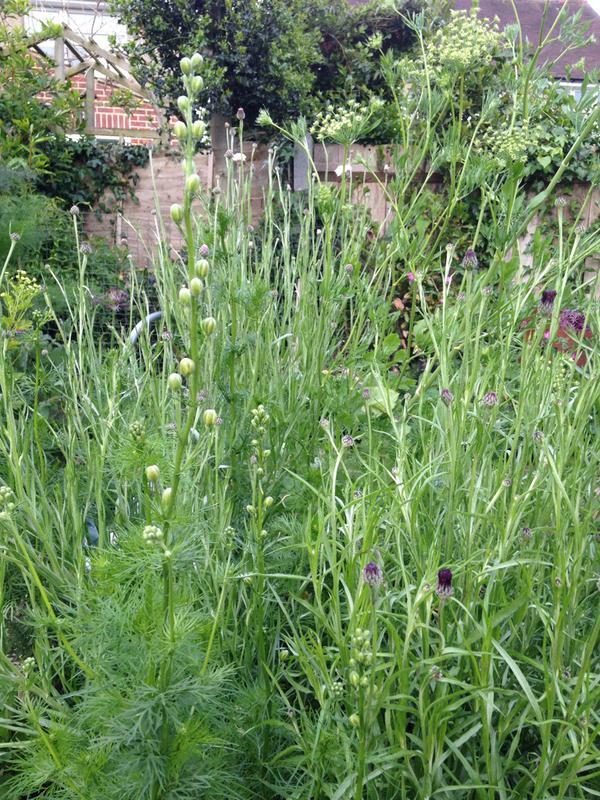 I love it…the Knautia will flower for yonks and will have a second flush….next year’s plant will also be much bigger. 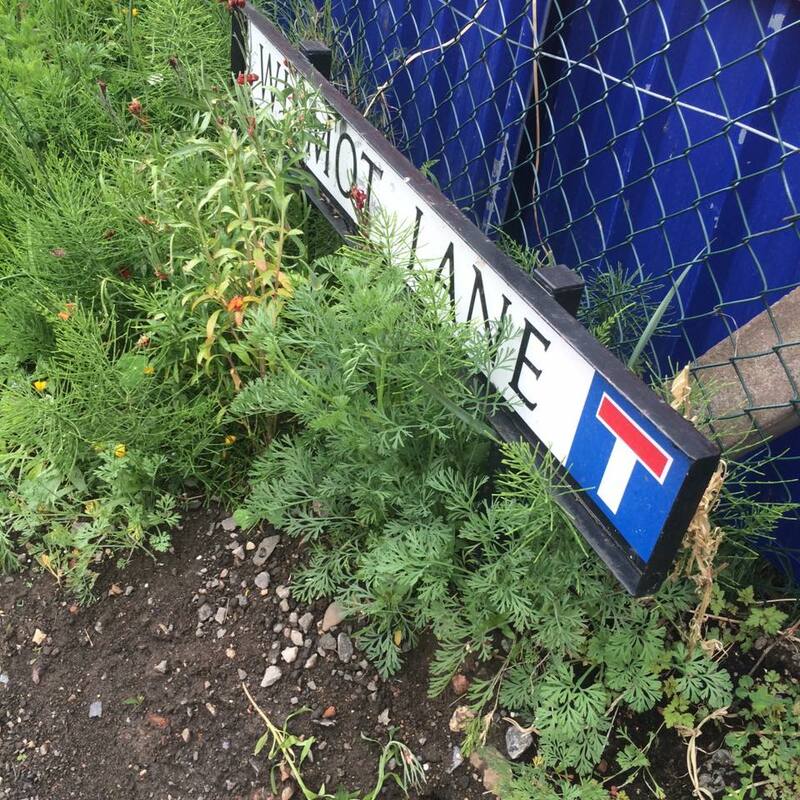 Thx Lucy Sortface from FB for this pic…this is a big old patch eh!? 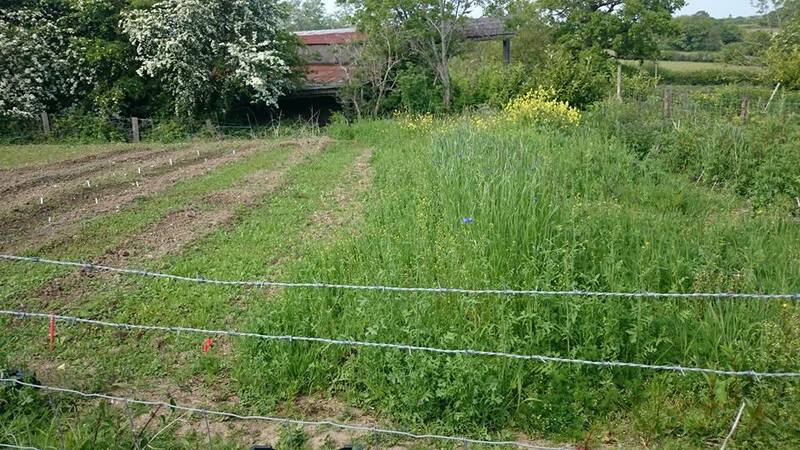 Autumn sown cornflowers just coming out to the right…it’s going to be a corker! 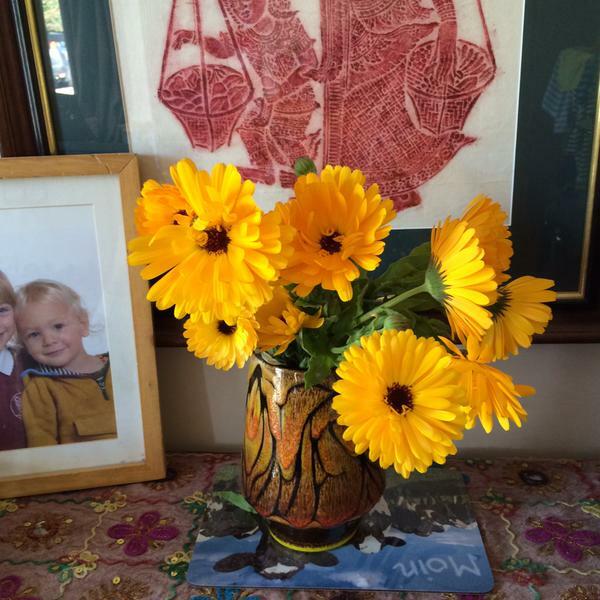 Good old Lindsay from Twitter with an early jar of Calendula…probably ‘Art Shades’ at a guess.